Colorado Detective Agency Insurance. Detective or investigative agencies search for and develop facts and information for their clients, which may include individuals and businesses. Most states require detective agencies to be licensed. While some carry firearms, they do not have police authority. The agency may perform general investigative services or specialize in such areas as child custody disputes, pre-employment background checks, relationship conflicts, or missing persons. Why do detective agencies need insurance? What policies do detectives need and how much coverage should they carry? Find out more about Colorado detective agency insurance below. Colorado detective agency insurance protects your investigative services business from lawsuits with rates as low as $57/mo. Get a fast quote and your certificate of insurance now. In other words, Colorado detective agency insurance protects you from paying the astronomical fees that are associated with the risks of running a business like yours. Protecting your private investigation with the right type of insurance is crucial for your overall success. To find out exactly what type of Colorado detective agency insurance you need and how much coverage you should have in place, speak with a reputable insurance broker who knows your business. 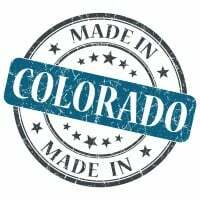 Request a free Colorado Detective Agency insurance quote in Akron, Alamosa, Arvada, Aspen, Ault, Aurora, Avon, Basalt, Bayfield, Bennett, Berthoud, Boulder, Breckenridge, Brighton, Broomfield, Brush, Buena Vista, Burlington, Carbondale, Castle Pines North, Castle Rock, Cañon City, Cedaredge, Centennial, Center, Cherry Hills Village, Colorado Springs, Columbine Valley, Commerce City, Cortez, Craig, Crested Butte, Cripple Creek, Dacono, Del Norte, Delta, Denver, Durango, Eagle, Eaton, Edgewater, Elizabeth, Englewood, Erie, Estes Park, Evans, Federal Heights, Firestone, Florence, Fort Collins, Fort Lupton, Fort Morgan, Fountain, Fowler, Fraser, Frederick, Frisco, Fruita, Georgetown, Gilcrest, Glendale, Glenwood Springs, Golden, Granby, Grand Junction, Greeley, Greenwood Village, Gunnison, Gypsum, Hayden, Holyoke, Hudson, Idaho Springs, Johnstown, Julesburg, Keenesburg, Kersey, Kremmling, La Junta, La Salle, Lafayette, Lakewood, Lamar, Las Animas, Leadville, Limon, Littleton, Lochbuie, Lone Tree, Longmont, Louisville, Loveland, Lyons, Mancos, Manitou Springs, Mead, Meeker, Milliken, Minturn, Monte Vista, Montrose, Monument, Mountain Village, Nederland, New Castle, Northglenn, Olathe, Orchard City, Ordway, Ouray, Pagosa Springs, Palisade, Palmer Lake, Paonia, Parachute, Parker, Platteville, Pueblo, Rangely, Rifle, Rocky Ford, Salida, Severance, Sheridan, Silt, Silverthorne, Snowmass Village, Springfield, Steamboat Springs, Sterling, Superior, Telluride, Thornton, Trinidad, Vail, Walsenburg, Wellington, Westminster, Wheat Ridge, Windsor, Woodland Park, Wray, Yuma and all other cities in CO - The Centennial State.